The Turn Your Fortune slot from NetEnt was released to the online gambling public in January 2019. Showing off, once again, the high level of imagination that we’ve come to expect from the team at NetEnt, this is not just your regular video slot and offers an interesting twist on the basic game that can throw quite a few extra coins back into your bankroll. The theme of Turn Your Fortune is, well, fortune. The high paying symbols on the reels are all jeweled animals including a lion, an owl, a turtle, a fish, and a shell. The lower paying symbols are playing card values jack through ace. There is also a wild symbol and a scatter symbol to add to the action. NetEnt has added an exciting twist to the traditional slot machine play mechanics with what they call “Fortune Wins”. Fortune wins can be triggered in two different ways and can lead to some very large payouts. It’s possible to hit additional coin wins ranging from five times all the way up to 2,000 times your bet by moving through the Fortune Wins levels. The Turn Your Fortune slot is a five-reel, four-row slot that pays on 40 fixed bet lines. Players can set both the coin value and “bet level” they wish to use on this slot. Coins are played as one coin on two lines and the bet level is the number of coins to be played on every two lines. That is, even though there are 40 bet lines, bets are placed as if there were 20. The minimum coin value on Turn Your Fortune is £.01 and the maximum is £1.00. With a bet level range of one to ten, that gives us a minimum bet per spin of £.20 and a maximum of £200. 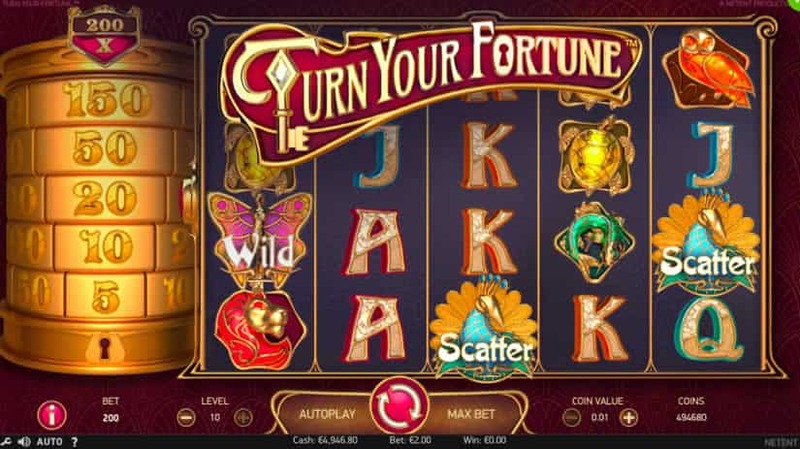 As you would expect from NetEnt, Turn Your Fortune is put together extremely well with great audiovisual design and smooth, exciting gameplay that holds your attention. Turn Your Fortune comes with a 96.24% return to player (RTP) rate built in. This promises players a very good value for the money they are wagering on the game as they play. The Fortune Wins and Re-Spins features of this slot add an exciting twist to traditional video slot machine mechanics and can lead to some wonderfully high payouts when the right conditions come together. The betting range on this slot should make it both comfortable for conservative gamblers and exciting for casino high rollers. Wagers can also be adjusted with a fair amount of precision to find a comfortable number anywhere in the middle. Although the Fortune Wins and Respins features do add a lot of excitement to the game, they don’t seem to come up nearly as often as you’d think they would. This leaves the feeling that perhaps the game could have done with at least one more smaller bonus feature to spice things up some. The Fortune Respins seem to come up on a pretty regular basis, but the scatter-triggered free spins that lead to the larger Fortune Wins seem to be extremely elusive. There can be very long streaks of spins to go through before the free spins feature activates. This can become frustrating. Although the Fortune Wins system shows a top win of 2,000 times your bet, with the maximum number of free spins that one can get, the chances of actually reaching the level needed to get that top payout seem very small. Big wins are most certainly possible, but chasing after that top bonus is probably not a good idea. Aside from wild symbols on the reels, there are two types of “Fortune” bonus features that can be triggered to increase the payouts and pad your bankroll. The first is Fortune Respins and the second is simply called Fortune Wins. Both work based on a counter and multiplier on the left side of the screen that can award some massive coin win bonuses. Let’s look briefly at how they work. Fortune Respins are triggered when you land a winning combination of symbols and there are at least two scatter symbols present on the reels. When this happens, the winning symbol from that spin becomes the “collectable” symbol and respins begin. You’re initially started with a bonus of five times your bet. As the reels spin and you collect more of that winning symbol, the multiplier will move up. There are also key symbols that can increase the Fortune Wins system to higher multipliers. Respins will continue until no more of the collectable symbol land on the reels and then all winnings are paid. The Fortune Wins feature is actually part of the free spins feature. If you hit three or more scatter symbols you will be awarded free spins. Before free spins start, you will be presented with a three-part spinning wheel that you will stop to determine how many free spins you’ll receive, the collectable symbol during free spins, and the level at which the Fortune Wins Multiplier will start. Free spins will then begin and play as they would on any other slot. As the collectable symbols or key symbols land during the free spins, they will be counted by the Fortune Wins system and the total bonus will be awarded at the end of the free spins. It’s also possible to win additional free spins if scatter symbols land. Play’N Go Casinos (Australia / Not USA). Yggdrasil Casinos (Australia / Not USA). Betsoft Casinos (USA + Australia). So if you are able to play NetEnt slot tittles, feel free to check the following recommended slots (that I really love!) 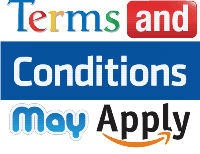 and are available at most multiplatform online casinos. Why would you play at an online casino powered by only one software company if the newest brands offer more than 15?! Finn and the Swirly Spin slot.